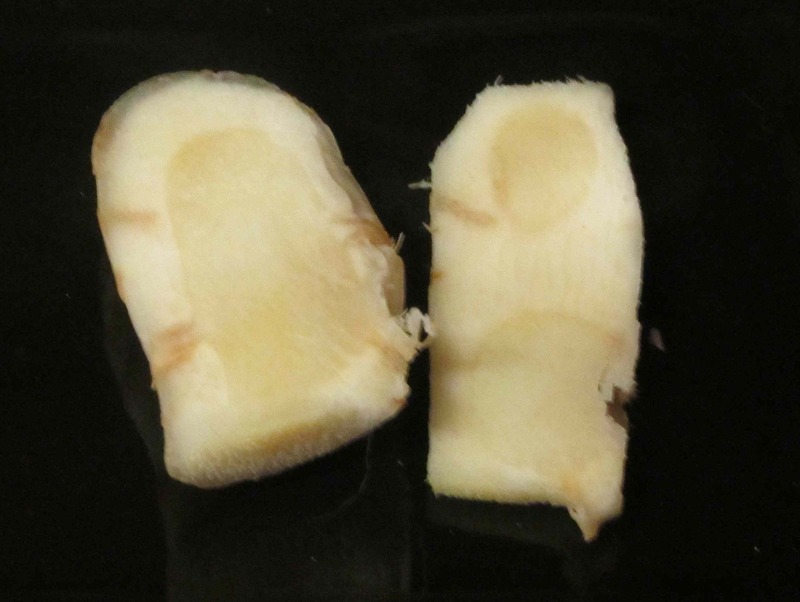 As you can see, the cut section also has very much the appearance of fresh ginger, but the fibers are much denser and usually quite a bit harder to slice. The protuberances that grow from the body also leave some very hard pieces in the flesh and these will need to be cut away when using the rhizome in pastes or other preparations. The rhizome is also available in dried, either in whole form, or else powdered, and the latter is often referred to, particularly in some cookery books, as ‘laos powder’. It is recommended, if buying the dried form, to choose the whole slices and grind them as needed as the commercially prepared powders lose their strength much more quickly. The aroma of fresh galangal is quite a bit different from the taste and has an aromatically sweet quality with a very slight earthiness. It carries a scent that is a bit like a pungent, peppery kiwi fruit and there are faint notes of vanilla and dried lotus flowers. The taste, on the other hand is immediately rather like ginger but far more pungent and peppery with an echo of turpentine. After a moment, the ginger quality fades a little and the very floral, perfume-like quality that typifies the spice in cooked preparations asserts itself. When dried, the aroma is very much muted, but that unique aromatic perfume sweetness is more concentrated and stronger. Wow! You are really an expert. I do take Thai food but never bothered to find out this kind of things. Thank you for the education. How interesting! I’ve eaten it, used the paste or powder… I wonder if I could get a root – I mean rhizome… I’m sure Asian shops would sell it, I must investigate. A great post! Thanks for the educational post. I’ve never heard of this spice. I love to learn about world cuisines and ingredients (have even published a dictionary of Puerto Rican culinary terms…). Love this post! I have had experience with the dried form but not the fresh. Thanks for an informative post. 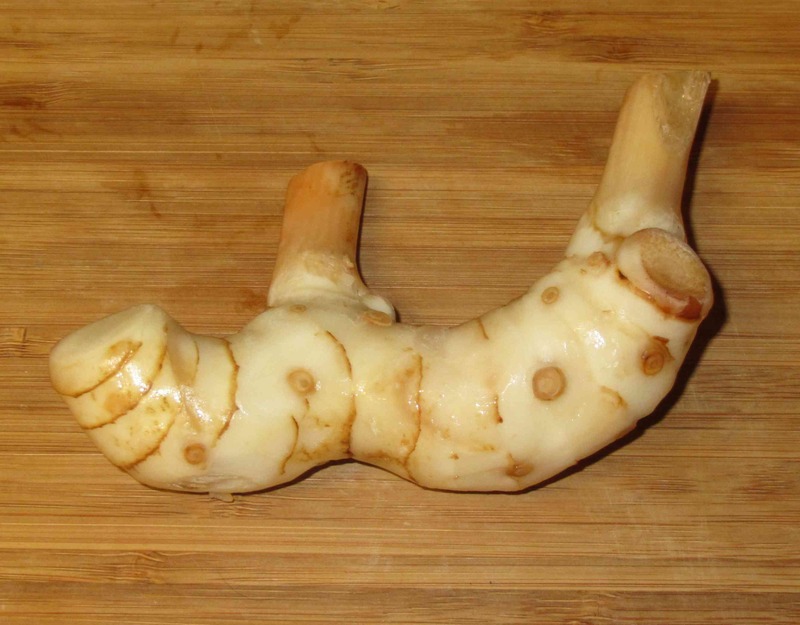 What a brilliant write up on galangal John – I can almost smell and taste it, although I wouldn’t mind skipping the turpentine bit. Nice description. 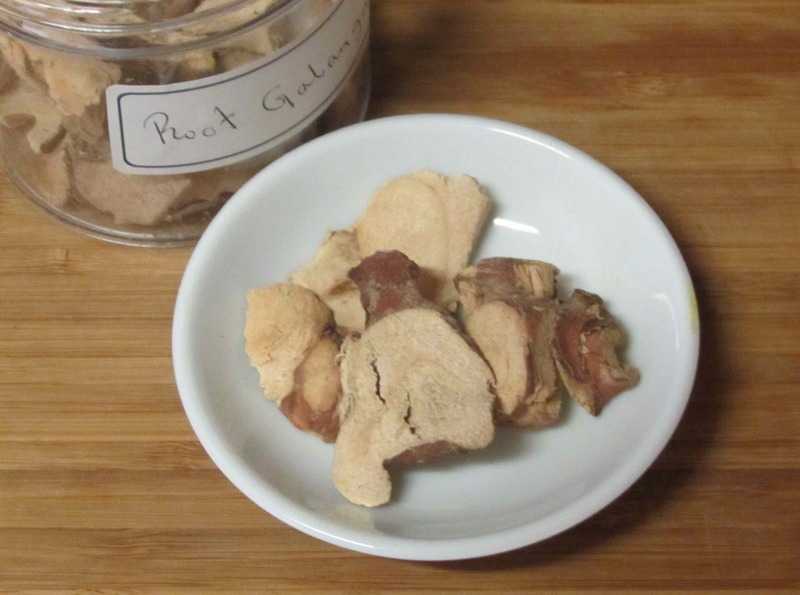 We keep some dried galangal in the house, though have never used it fresh. Looking forward to your curry paste post. Yes I thought so – ‘an echo of turpentine’. Googled galangal to check and found this site. To me it really tastes like the smell of turps, that artists use to thin their paints.